The Born Sylvia is a western-inspired shootie with an edgy twist. The artfully braided harness around the ankle has buckle detail and the 1 ¼” heel gives you the perfect boost while keeping you sturdy. Inside, the leather lining helps to wick away moisture and regulate temperature so your feet have a healthy interior environment. Opanka handsewn construction creates a secure bond without sacrificing flexibility, and the back zipper allows for easy on/off access. The leather footbed is cushioned from heel to toe, with extra padding at the heel and arch where you need it most. The tucker board with steel shank helps provide lateral stability and midfoot support, while the rubber sole is lightweight and textured so each step is secure and confident. 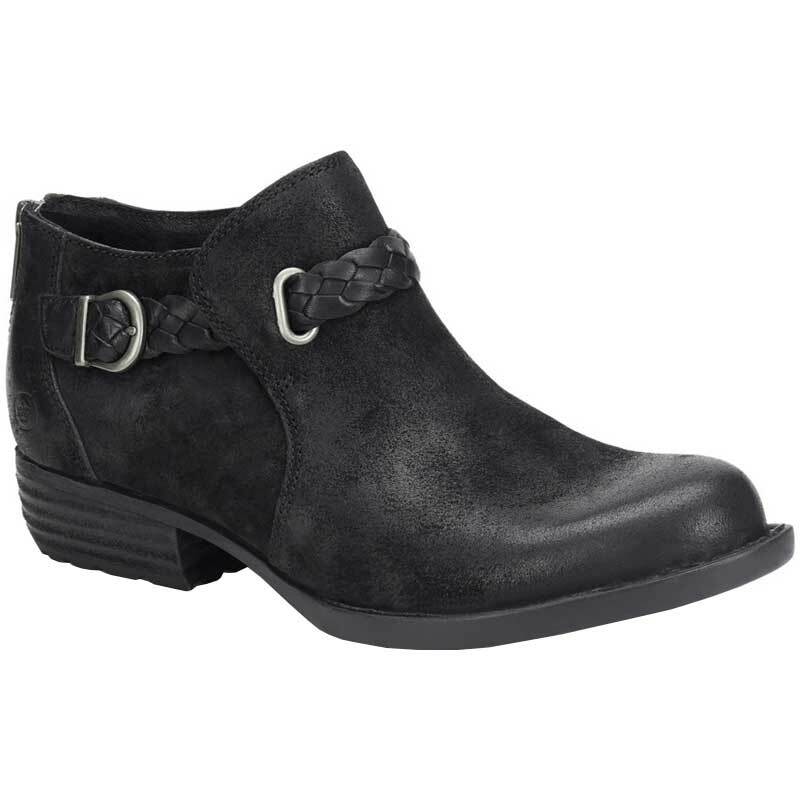 Contemporary Western style and complete comfort combine in the Born Sylvia boots. Love these! Very comfortable! True to size and just what I wanted. Born always has nice details!! Good quality shoes!